My husband and I adopted, “Bucky”, now called “Lucky”, in February of 2014. We decided to adopt another dog to keep our other dog, “Piggy”, company while we were at work. I came to K-9 Angels Rescue with Piggy to look at some other dogs that I had seen on their web site. Unfortunately, Piggy did not take onto those dog’s and we began to lose hope on adopting a new playmate. However one of the volunteers asked what we were looking for and brought Lucky to meet Piggy. Let’s just say that it was love at first sight! K-9 Angels allowed me to foster Lucky for a week to make sure that they would maintain their new friendship. Luckily (no pun intended) they got along great, and are still best friends. 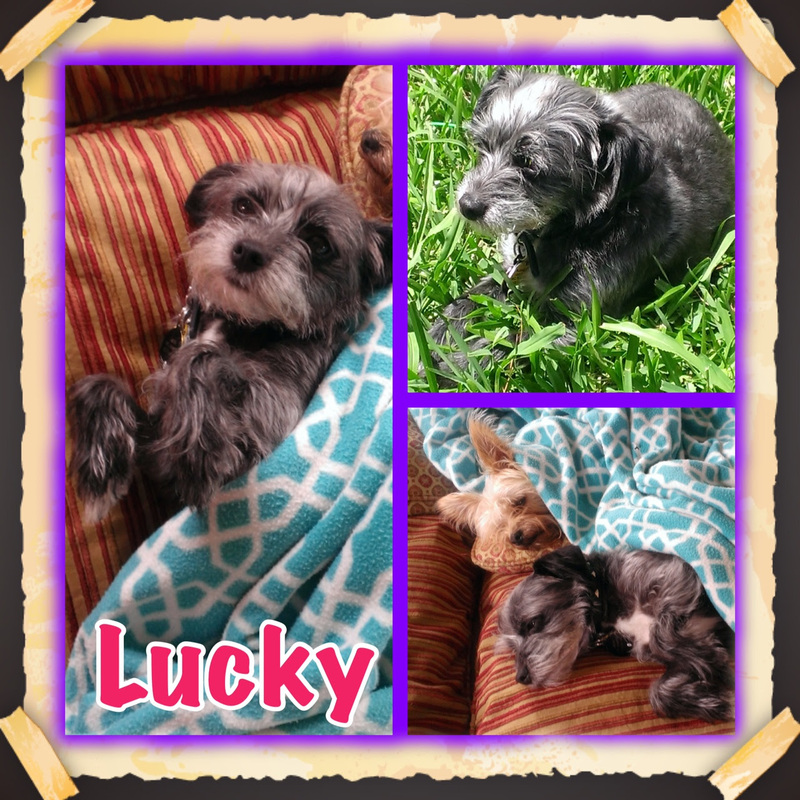 Lucky is a great new addition to our family! He is by far one of the best dogs we have ever had. He is very quiet and loves to cuddle; he is so smart that he stares into your eyes as if he can read your thoughts. He also goes crazy over treats and likes to destroy stuffed animals. On a sunny day you can catch Lucky sunbathing in the backyard without a worry in the world. The dog that was once a stray now sleeps with my husband and I in our bed with his best friend and brother. We don’t know how we got along without him! Lucky is the Black dog and Piggy is the Tan yorkie. I have attached two pics of them snuggling and one pic of Lucky sunbathing in the backyard. Once upon a time, if your dog got lost without her collar, you had a big problem. You mostly had to cross your fingers and hope providence would reunite you. Heaven help you if it happened on vacation or during a major emergency like a hurricane. You might haunt the lobbies of your local animal shelters and pass out “Missing Dog” flyers around the neighborhood. That was about all you could do. Often — too often — it wasn’t enough. Every year, some 10 million dogs go missing in the U.S. Today, thanks to some fascinating innovations, your odds of finding a lost pet are infinitely better than they used to be. In the 21st century, there’s no reason your dog should stay lost for long. Yes, it’s now possible to use facial recognition technology to find a lost dog. The developer of a new, free smartphone app called Finding Rover says he just wanted to help people avoid what his family went through. “I saw a lost dog poster and it brought back all the memories of this black Labrador we had named Harley that we lost once,” John Polimeno told SFGate. “We found him four days later, but those were four days of hell for my wife and me and our two kids. There wasn’t a dry eye in the house.” See a news report about this new technology here. Users of the app simply take a photo of their dog and upload it to the app’s database. Later, if someone finds the dog and snaps a photo of it with the app, chances are excellent the two photos will match. If they do, the family’s contact information is right there to get the dog back where he belongs. It also works in reverse. Found a lost dog? Snap a photo with the app and perhaps it will match one already in the system from an owner, a veterinarian’s office or an animal shelter. The technology used is said to be 98 percent accurate in matching two photos of the same dog. Unlike humans, who have 128 different markers in play for facial recognition purposes, dog faces have eight distinctive markers. The eyes and noses, in particular, make it relatively easy to match two photos of the same canine. Eye sizes and their location relative to the snout are key factors. The app has proven itself in real world use. A testing period during 2013 reunited over 200 dogs with their guardians. Animal shelters and veterinarians in California’s Contra Costa and San Diego counties, and in Miami and Austin, Texas, are now part of the Finding Rover network. This technology holds a lot of promise. Yes, a cat version is also in the works, kitty lovers. However, facial recognition isn’t the only game in town. “Most lost pets without identification are never reunited with their families,” according to Dena Fitzgerald, the American Humane Association’s program manager for publications and external communications. Think about that statement for a minute. Millions of pets go missing each year and most never find their families again. That’s just unacceptable. Other than ensuring your pet always wears a collar and tag, what can you do to make sure your beloved furry friend doesn’t become part of this sad statistic? Microchipping will go a long way. For about $50, a one-time cost, it’s a permanent solution that can ensure your pet is identifiable if he or she has no other form of identification when found. A small chip is painlessly inserted between your pet’s shoulder blades using a small needle. The chip, about the size of a grain of rice, contains a unique registration number and registry phone number which a handheld scanner can pick up and read. Most shelters, veterinarians and some rescue organizations have such scanners. Here’s the important part. When you get home, you must remember to go online to the chip’s registry website. Using the chip’s registration number, submit your contact information. That’s the only way the microchip will be able to match your dog to you. The single point of failure for this method of identification is that you must remember to keep your contact information current in the chip’s database. If you move or change your phone number and you don’t update your information, the happy reunion is much less likely to happen. 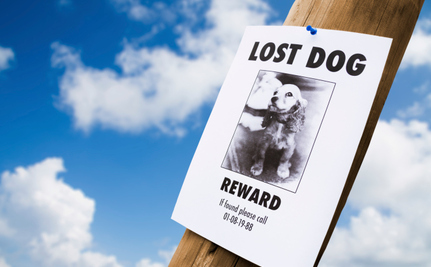 While pounding the pavement, putting up flyers and using social media to find a lost pet still work, today you have many additional options to help you if your pet goes missing. Employ them to the fullest to find your pet or help someone else find theirs. The wagging tail or happy purring at the end of it all will be your reward. What’s better than that? Here is a Top Five List of some of the just plain bad vaccine advice commonly dispensed by vets…. some real snippets of wisdom, pulled from various veterinary websites by Dogs Naturally. Prevention is better than cure. Vaccination is the way we cause animals to become resistant (immune) to infections. A vaccine consists of a modified or killed virus or bacterium. It is prepared in such a way that the body’s defences recognise it as a threat and react to it as if it were a real infection. The body will produce antibodies which are proteins which recognise and attach to chemicals on the surface of the organism, killing it. These antibodies are then available to kill any of the real infection organisms the animal might pick up during its life. They are lost gradually and the body needs occasional reminders (booster vaccinations) to keep the antibody level high enough to prevent real infections. Vaccination reactions are very rare. A booster is recommended each year. The body doesn’t react to a vaccine the same way it would to the real disease. When exposed to real virus, the body forms immunity by filing that information away in memory cells. The memory cells, called cellular immunity, are reponsible for mounting a quick attack the next time they are faced with the same disease and the body, armed with the knowledge the memory cells have stored away, quickly neutralizes the disease by triggering circulating antibodies. This is why humans only get chicken pox once and dogs can only get parvovirus once. After the first episode, they’re protected for life. Vaccines try to emulate this, but they don’t do a complete job. Vaccines stimulate circulating antibodies, called humeral immunity, and they bypass the memory cells. This creates an artificial immunity called humoral bias and this essentially turns the immune system inside out. To learn more about this effect, read our article on Vaccines And The Immune System. But the real problem with this statement is their desire for antibody levels to be high. High antibody levels mean high levels of circulating antibodies – or humeral bias. The higher the titer, the more chronically inflamed the body is. This humeral bias and resulting chronic inflammation result in many of the autoimmune diseases we commonly see in dogs today: allergies, cancer, arthritis, diabetes, bowel disease and many, many more. Vaccine reactions may be rare, but the risk and severity of chronic disease that vaccines cause increase with each and every vaccine given. Your puppy vaccination course should be started at 6 weeks of age. A primary vaccination is first given and a booster 2-4 weeks later. This course must be completed before your puppy is fully protected. Unfortunately the protection provided by vaccinating is not life-long and hence an annual booster is recommended. At ________ veterinary clinic we will send you out an annual reminder to ensure your pet is kept up to date and protected. Vaccinating a puppy at 6 weeks? According to veterinary vaccine researcher Dr Jean Dodds, only 30% of puppies will be protected from a vaccine given at 6 weeks of age: yet 100% of them will be exposed to disease when taken to the vet clinic for that shot. Moreover, vaccines create immune suppression for 10 to 14 days. So, choosing to vaccinate a puppy at 6 weeks means exposing him to the most disease ridden location he could possibly be in – the vet clinic – while creating immune suppression at the same time. Your puppy is much more likely to get the disease he is being vaccinating for, and all in exchange for a 30% chance the vaccine will work. That’s a pretty high gamble with a puppy’s life. The reason the vaccine is unlikely to work at that young age is because the puppy is protected against disease with maternal antibodies – immunity passed down from his mother. This protection wanes over time, but is still pretty strong at 6 weeks. That’s why in most cases the vaccine doesn’t work at this age: the maternal antibodies are strong enough to block the vaccine. Here is problem number two with vaccinating at that age: the maternal antibodies will be less effective after the vaccine is given because vaccines cause immune suppression. We also object to this statement: “This course must be completed before your puppy is fully protected.” There are two problems with this statement actually. One, you can’t be partially protected: immunity is like being a virgin, you either are or you aren’t. Either the immune system has filed that information away or it hasn’t: there is no grey area, you are either immune or you are not. As for the other problem, a course of vaccines is not necessary: it only takes ONE vaccine to protect a puppy for life – ONE AND DONE. For more information on this, you might want to read Taking The Risk Out Of Puppy Shots. Primary pet vaccinations do not cover your animal for the rest of their life, so annual booster vaccinations are required for continued protection. Wow, bad grammar aside, there’s one very big problem with this statement – a monumental problem of biblical proportions! Not only do core vaccines last for the life of the animal, vets have known about this for about forty years! We won’t even go into why annual vaccination is a very, very bad choice – because vaccinating every three years or every five years is also a bad choice based on unsound science. Nuff said. Think we’re making this up? You might want to read Lifelong Immunity: Why Vets Are Pushing Back for more information. 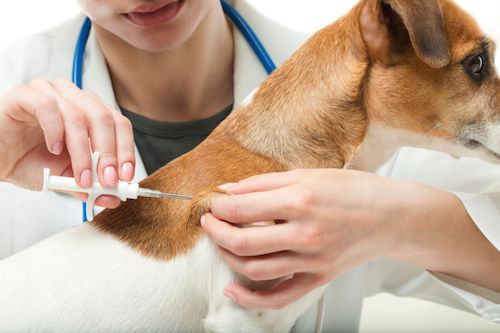 At ______ Veterinary Hospital, we are aware of some of the controversy currently surrounding immunization protocols. However, until industry leaders and experts, such as the vaccine manufacturers and the American Veterinary Medical Association (AVMA), arrive at some definitive conclusions, we believe it to be in the best interest of your pet and the general public to continue to adhere to our established immunization protocols. We recommend that your pet should receive annual boosters. Controversy? Industry leaders and experts? Here is the crux of the problem: these vets are waiting for the vaccine manufacturers, AAHA and the AVMA to decide how often to vaccinate. Don’t you think that all of these entities have a financial interest in how often you vaccinate your dog? Are they capable of making an unbiased recommendation? Apparently they aren’t. Misunderstanding, misinformation and the conservative nature of our profession have largely slowed adoption of protocols advocating decreased frequency of vaccination; Immunological memory provides durations of immunity for core infectious diseases that far exceed the traditional recommendations for annual vaccination. This is supported by a growing body of veterinary information as well-developed epidemiological vigilance in human medicine that indicates immunity induced by vaccination is extremely long lasting and, in most cases, lifelong. If you would like to read more about how vets arbitrarily chose the period of three years for revaccination, even though they knew back in 2003 that vaccines lasted likely for the life of the dog, read Lifelong Immunity And The AAHA Revaccination Guidelines. Annual boosters are painless for your pet, and help to fight off contagious illnesses throughout the year. 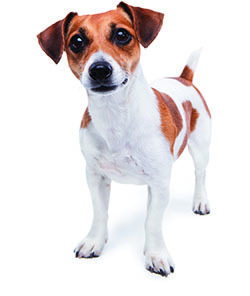 The staff at ______ Veterinary Clinic are expertly trained in the welfare of your pet. Any vet who advocates annual vaccinations – or even uses the term booster – is clearly not expertly trained in immunization or the welfare of your pet. In fact, most vets are woefully inept when it comes to understanding immunity. They are very good at giving vaccines – yet most vets are not taught very much about immunity at all. Perhaps that’s because immunity is taught by the vaccine manufacturers – it’s no wonder that vets are well armed with needles yet lack the knowledge or motivation to question just what damage those needles are doing. If you would like to learn more about how little vets feel they were taught about vaccination, and the disease they saw vaccines create in their patients, read our ground-breaking featured article, Vets On Vaccines. In the end, it doesn’t matter whether vets continue to dispense this bad advice out of ignorance or for financial gain (most veterinary practices earn 14% of their income from vaccines). Either way, the bad advice is out there and dog owners – and dogs – will fall victim to that bad advice every day. If you find your vet dispensing bad vaccine advice, don’t ignore it. Perhaps reading and sharing What Every Vet (And Pet Owner) Should Know About Vaccines will help you both to begin understanding that immunity involves more than just shots and boosters. In a book about the fate of human societies, the author framed the discussion with a rhetorical question; why did European descendants come to dominate Native Americans instead of the other way around, with Geronimo scalping the king of England. In this book, Jared Diamond went on to answer this question with convincing insight. The discussion here could be framed by another rhetorical question: why, if fat is the problem, has per capita consumption of fat gone down precipitously for the past 30 years, yet obesity has increased dramatically? An ancient tale. Often someone will begin to relate a tale with the opening statement, to make a long story short. As we know, they frequently fall short of being short. I can promise you the version of the story today will be shorter than the actual story, which is four billion years old. One example of mammalian ability to deal with lack is seen with dietary calcium. If the diet contains inadequate calcium, bone is dissolved to keep blood levels sufficient. Liver stores vitamin A so efficiently that one can function perfectly with no vitamin A in the diet for months and even years. Pregnancy can be cited as an example of this survival machinery at its most sophisticated. In mild starvation, peripheral tissue sensitivity to insulin drops measurably. The effect is to shunt critical blood sugar to the fetus, enhancing survival of the next generation at the temporary inconvenience of the mother. But if the starvation becomes severe, full insulin sensitivity returns to peripheral tissues. This at first seems incongruous, as it invariably results in abortion. But evolution knew what it was doing. In dire circumstances, pregnancy greatly complicates survival chances, so emphasis reverts to keeping the mother alive, to be a mother later in better times. All mammals are especially perfected to deal with lack of energy, the foremost nutrient, after water. Whether talking of protein, fat or carbohydrate, there is a way to convert it to energy. Some amino acids (protein building blocks) are so quick to convert to energy that they are called glucogenic amino acids. However, mammals, including pets and people, have no ability to deal with constant, excess starch and sugar. There is a logical explanation. As four billion years of evolution adapted all creatures to their surroundings, constant high levels of starch and sugar were never encountered. If you analyze anything that might constitute food or nourishment, anywhere in the world, it will be low in starch and sugar. The average starch and sugar content of meat, fish, eggs, insects, plants, fruits, berries, and vegetables is about 4%. Of course, honey and berries are high in sugar. But honey was rarely encountered, and berries are mostly water. Eating berries to satiety actually does not overload metabolism, and even if it does, the berries don’t last but a few days in a primordial setting. Contrast this 4% starch-sugar content of the primordial world with the average starch-sugar content of dry, expanded pet food, the type bought in the grocery store. Most all dry pet food is 40% carbohydrate. It should be obvious where this discussion is going; 4% versus 40%. A single large feeding a day of a diet that is 40% carbohydrate is in drastic conflict with what we have evolved to thrive on, and constitutes literal hormone abuse. Consider that there are eight hormones that raise blood sugar, yet only one that lowers it. From this, we can conclude that nature saw a great deal of importance to keeping blood sugar held up to a minimum safe level, and relatively little need to lower blood sugar. This one blood lowering hormone, insulin, was invented, so to speak, to capture the rare or occasional spike in blood sugar and save it as fat. In this regard, insulin served a critical role in our evolution, and as we know, insulin is very proficient at this assignment. The hormone insulin is identical, to the last molecule, in all mammals, and does the exact same thing in all creatures. As an analogy, suppose we had spent the last four billion years in a world of twilight and star light, when suddenly a brilliant sun appeared. Our eyes would struggle to deal with this new development. This is quite similar to what happened to mankind 10,000 years ago with the introduction of genetic modification of grain, and the advent of the agricultural revolution. For perspective, 10,000 years in the history of evolution is the same as a second in five days. Mammalian diets before the advent of farming were better. Dr Weston Price traveled the world in the 1930s evaluating the health of specific populations. He found 11 societies that existed in two isolated groups at the same time. Each had portions of their group adhering to their historical hunter-gatherer lifestyle, and a portion that had adopted modern western diets. In all 11 cases, the hunter gatherers were healthier, with virtually no bone or dental problems. Skeletons of people living in the near east prior to 10,000 years ago are three inches taller than those that came later. The foraging of pre-agriculture humans provides an ideal model for us. It is precisely what we are evolved to do. Foraging has three inherent and important advantages; it keeps you moving (exercise), it invariably is automatic portion control, and it only serves foods of a chemical composition we are designed to eat (low in starch and sugar). Forty percent of our pets are overweight, not coincidentally the same obesity seen in all Americans. One of the reasons is due to a sneaky trick of Mother Nature. As an ingredient in the diets, fat has over twice the energy of anything else. This invites us to follow a false line of reasoning, as we assume lower fat is better. Proof of this – any grocery store is full of manufactured foods touted as low in fat, reduced fat, less fat. There is a coffee creamer known the world over as half and half, and it is available as fat free! Fat is not the problem. This has been known for over 100 years, and it has been proven unequivocally by the scientific community. People on a low carb diet can eat all they want yet lose weight, and have a healthier blood lipid profile. What is the solution to the obesity epidemic in our pets? Americans spend more on pet care than the GDP of 87 countries. The concern is there, but evidently we are not correctly applying what we know. 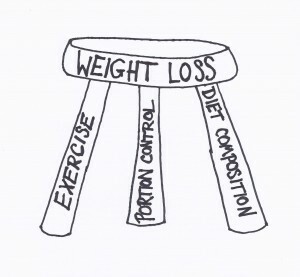 If weight loss is the problem we wish to address, it can be viewed as a three legged stool. The three legs are exercise, portion control and food composition. Sound familiar? Foraging should come to mind. The solution is to feed as much raw, frozen, canned or freeze dried pet food as your budget will allow. Owners of several big dogs could rapidly go broke feeding a fresh or raw diet, but to the extent that the dry kibble can be reduced, or lowered as a percentage of the diet, nutrition will be better. Interested in learning more about starches, fats and finding the best foods for your dog? for the Natural Canine Health Symposium. Is there a new strain of canine parvo? Every now and then, warnings hit the media or Internet claiming there’s a “new strain of parvo” that’s killing dogs. Is it true? It’s half-true. Yes, there’s a fairly recent strain of canine parvovirus, CPV-2c, which emerged around 14 years ago, compared to the emergence in the 1970s of the original strain. No, it’s not deadlier than than “regular” parvo, which can kill puppies and unvaccinated dogs. And no, the “new” parvo doesn’t somehow evade natural or vaccine immunity. If your dog is immune to one strain of CPV, he’s immune to all current strains. The parvo vaccine protects against this disease very well in almost all adult dogs, but it’s tricky for puppies. There are also a very, very few adults dogs, known as “non-responders,” who can’t form immunity to parvo from natural infection or vaccines. We don’t really know why, but it’s extremely rare. So if you have concerns about a parvo outbreak in your area, talk to your veterinarian, especially if you have a dog under 1 year of age, but don’t worry about the “new strain” specifically. Learn more about CPV, including how to prevent and treat it, here! 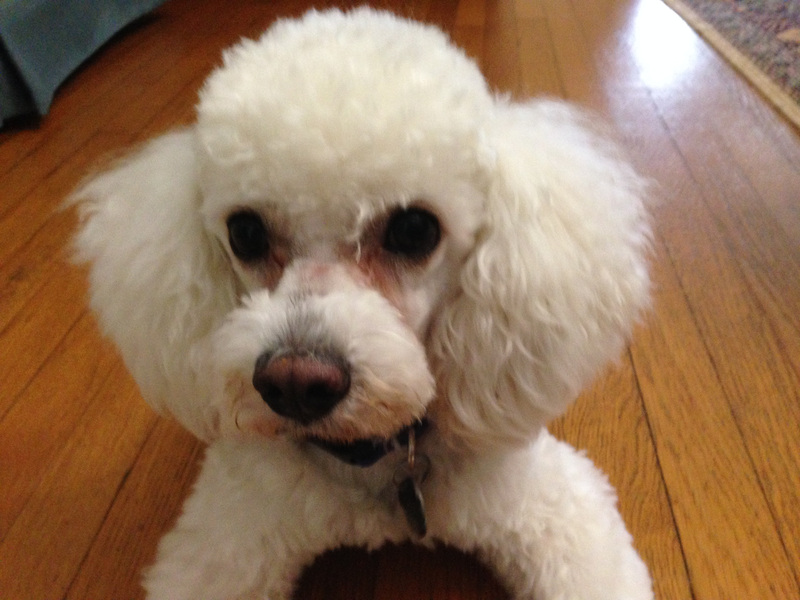 I adopted the poodle-Bichon mix “Lollipop” in February after seeing her photo on your website. She turned out not to be a girl, so I named him Poppy. He recently passed a temperament test and is a therapy dog with Faithful Paws. He made his debut last week, and did great. He will start heartworm treatment next week, so we’ll be home for a while, but his a great little guy and I’m so pleased to have adopted him.